You have taken a video but you are not satisfied with a part inside? Don't worry! With iSkysoft Video Converter Ultimate, you can easily delete any unsatisfactory video clip with its trim feature. 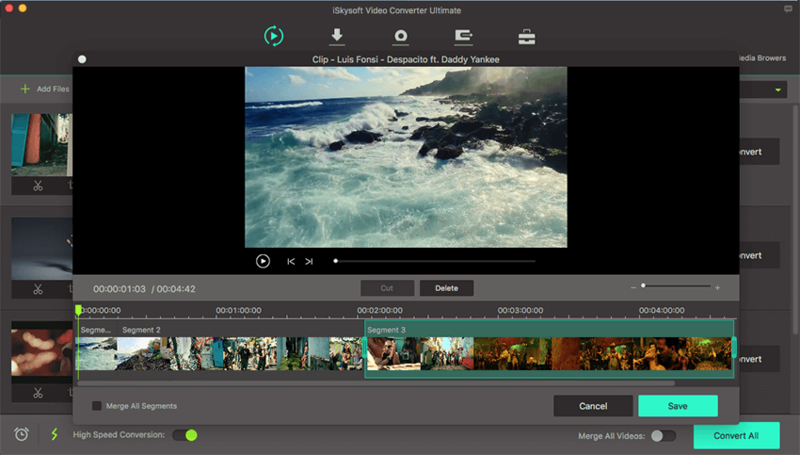 Run the video converter and import your videos for editing. Directly drag and drop your video to the program or click the "Add Files" button in the Convert tab. You can also load video files from your mobile device or camcorder by clicking the drop-down icon beside. In this step, you can go to the editing window by clicking the editing icons under each video. To trim your video, click the first icon button to preview your video and at the position you want to trim, click the “Cut” button to show up markers on the progress bar. Drag the markers to adjust segment duration. Repeat this process to add more segments and click "Save" button. By default, all segments will be placed in the primary interface as video clip named with the segment number. If you are not satisfied with a part of the video, just choose the start time and ending time in the preview window and then click "Delete" button to remove it. Click "Save" button, you will see the segments joined into one video clip in the main window with the un-selected parts removed. 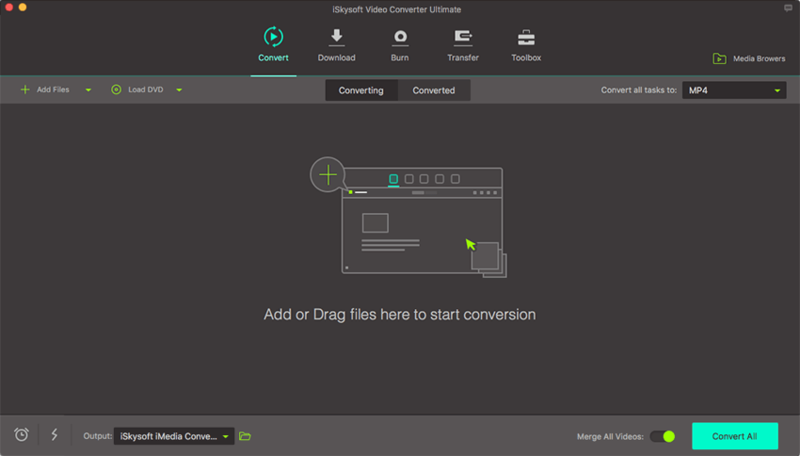 Now export your video by clicking “Convert” or "Convert All" button after selecting the output format. You can change the output folder for easy access to the edited video from "Preference" > "Location".